Bookkeeper: a person who doesn’t return borrowed books. Croaker: someone who always foretells a bad outcome to any endeavour. 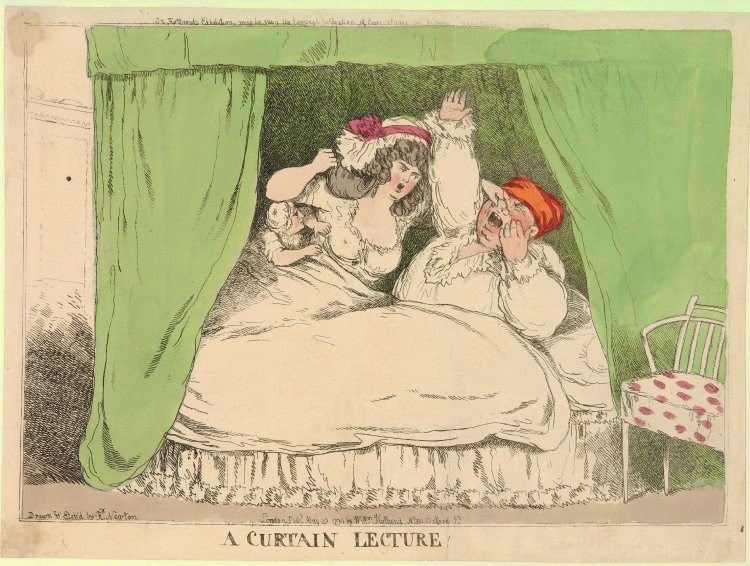 Curtain Lecture: a discreet scold. Usually, it was given by a wife to her husband. Fresh Milk: Cambridge new comers to the university. Gluepot: a parson. They were so cold because they officiated marriages, joining men and women together in that sacred bond. Lollop: to lean on the table with your elbows. Outrun The Constable: a man who has lived above his means or income. Pitt’s Picture: a window bricked over, or otherwise stopped up, from the inside, to save the window tax imposed by Pitt’s administration. Sunday Man: one who goes abroad on that day only, for fear of arrests. Tooth-music: the sound made by chewing. White Serjeant: a man fetched from the tavern or ale-house by his wife.